David Brooks occupies one of American journalism’s most influential perches. He has a gift for bringing audiences face to face with the spirit of our times with humor, insight and quiet passion. He is a keen observer of the American way of life and a savvy analyst of present-day politics and foreign affairs. 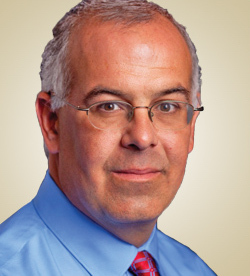 Brooks has built a reputation for fairness and trenchant analysis during his nearly eleven years on the New York Times op-ed page. His interests are broad and always relevant and range from politics to education, from foreign affairs to cultural trends – often presented with his unique sense of humor. He has been a senior editor at The Weekly Standard, a contributing editor at Newsweek and the Atlantic Monthly, and an editor and reporter at the Wall Street Journal. He is currently a commentator on PBS NewsHour and on National Public Radio’s All Things Considered. Brooks’ most recent book, The Social Animal: The Hidden Sources of Love, Character and Achievement, which was published in 2011 uses the story of a fictional American couple to explain the importance of neuroscience and sociology in understanding America’s politics, culture, and future. His previous books, Bobos in Paradise and On Paradise Drive are in a style he calls “comic sociology”—descriptions of how we live and “the water we swim in” that are as witty and entertaining as they are revealing and insightful. Bobos in Paradise was a New York Times bestseller. Brooks is currently teaching a course at Yale University. He holds honorary degrees from Williams College, New York University, Brandeis University, Occidental College, among others. In 2010, Brooks became a member of the American Academy of Arts and Sciences.